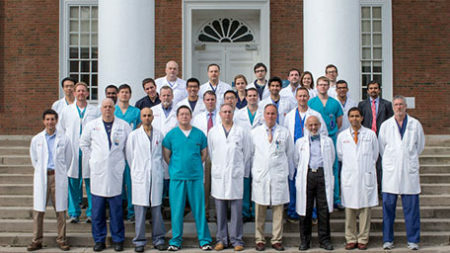 The University of Virginia Health System’s Department of Neurosurgery combines innovative technology, world-renowned physicians and a team-based approach to diagnosis and treatment of disorders affecting the nervous system.The department consists of many subspecialty Centers of Excellence, covering the full range of neurological disorders. Our doctor teams will review every case presented to us. Our experienced and dedicated nursing and administrative staff is always available to provide around-the-clock care, support and information for patients, families and referring clinicians. We welcome referrals from all geographic areas. 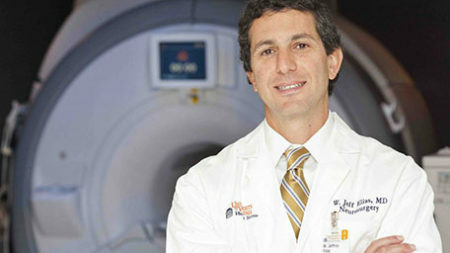 Jeff Elias is recognized for pioneering the use of focused ultrasound to treat essential tremor, and for leading the clinical trial that resulted in Food and Drug Administration approval of the approach to treat the condition. 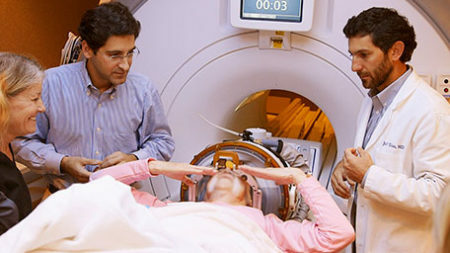 Scalpel-free surgery using focused sound waves appears to be as effective in treating essential tremor as traditional surgery that requires drilling into the skull. Dr. John Jane’s family of students, colleagues, and grateful patients is coming together to honor him. Jane, one of the world’s most renowned neurosurgeons, died in 2016 after a remarkable career as a teacher and clinician. Every Neurosurgery researcher is dedicated to better results for patients in our clinic. Your contribution can help ensure we are able to offer the best care based on advanced medical research.